We have you covered for all of your holiday fun, including Christmas events and activities, Hanukkah events, celebrating New Year’s Eve with your kids before your adult celebration at midnight, and even events and activities when you need a break from the holidays in middle of all the busyness. Simply click on your area’s blue button and you will be taken to all of the holiday fun near you! Want to find the best winter holiday fun in your area? Our guide is broken up by area to be most helpful for you. Don’t miss our insider’s guides and reviews section as well! Not sure what region you should choose? 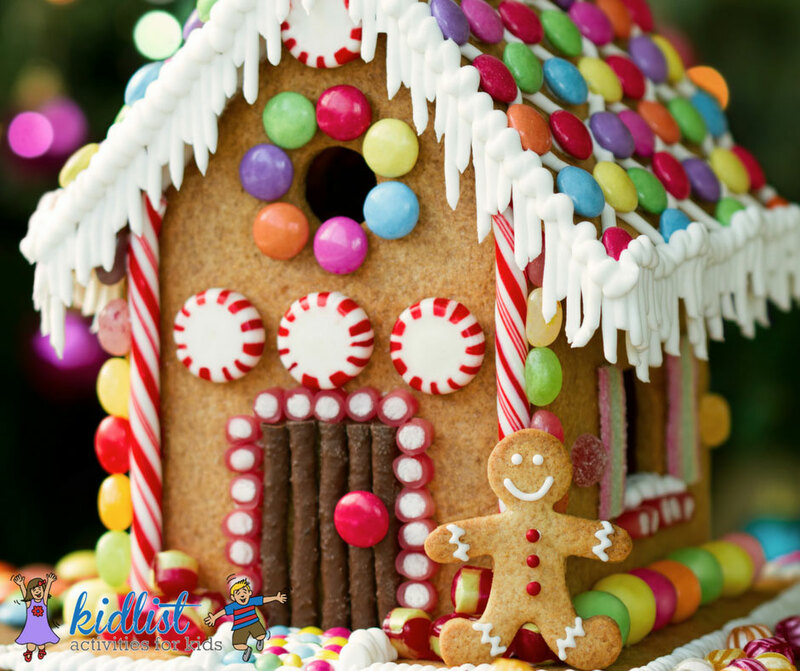 Check the list of towns in the Kidlist coverage area. Check out Kidlist’s guide to all things Hanukkah for some of the best family events in Chicagoland celebrating the Festival of Lights! All of the best Christmas lights in the western suburbs with addresses, photos and a map. Take a drive or walk through the beautiful light displays! Find a place to eat with Santa for the 2018 holiday season. Breakfast, brunch, lunch, sweets and more! Don’t forget your camera for a photo opportunity! Holiday theater for kids makes for a magical memory! Plan a special outing to see shows like How the Grinch Stole Christmas, The Nutcracker, and more. Places to find a horse drawn carriage ride or holiday trolley ride in the southwest and western suburbs. Enjoy the holiday season with some festive rides! Polar express train rides, holiday express, santa train, and santa trolley rides in the Chicago suburbs. Enjoy a family friendly ride to visit Santa Claus. Find a 2018 live nativity to reflect on the true meaning of Christmas. There are many local options so you can find one near you! All the opportunities to take free photos with Santa for families in the western suburbs of Chicago! Find places that welcome dogs, cats, and other pets in this list of pet photos with Santa to capture memories with your pets this holiday season. Tons of ideas for experience gifts to enjoy time with each other and experiences your kids will remember. Even a few discounts from local businesses! We’ve scoped out all the new toys and games this season and only our favorites are included in this holiday gift guide. Volunteering with kids is such a worthwhile way to connect as a family. These organizations offer opportunities to help them better our community. Find churches that offer children’s church to give parents the opportunity to embrace weekly services while kids play and learn about God. 2018 toy drives in Chicago’s western suburbs for unopened toys, plus where to donate gently used toys. Get in the holiday spirit of giving! Get the details on attractions, inflatables, photo opps, food, parking, and more tips and discounts for the Fifth Third Bank Winter WonderFest at Navy Pier. Get the inside scoop on what you will find at Holiday Magic. The best zoo lights, entertainment, free exhibits, parking, light up necklaces, and more. Experience the most popular destinations in the city on the Chicago Holiday Lights Trolley Tour without having to worry about parking at each location. Show overview, review of Cirque Dreams Holidaze, performance dates and times, where and how to get tickets and even how to get a discount! Get the details for the new updated performance and tips for going to Blue Man Group with kids! Find out how to get half-price tickets to the show. Enjoy! Get the details for The Wizard of Oz at Paramount from both a parent and a kid’s perspective. Info on the show, parking, tickets, recommendations and more! Get the scoop on all of the features of Illumination at The Morton Arboretum and what has changed since last year. You don’t have to wait until midnight to celebrate the new year… these local places host fun events to celebrate New Year’s Eve with Kids during the day! Check out our giant round-up of family-friendly things to do with kids in December! There’s more going on than just holiday events. Snow is on the way, and it’s time to go sledding! Here is a comprehensive list of places to sled in the western suburbs. Whether you’re looking for a day trip or full-blown vacation, check out our list of indoor water parks near Chicago that are worth the drive! It can be hard to find places to go with a baby or toddler, so we put together a list of fun places that even the littlest kids can enjoy. Every year, this is one of our most popular lists — and for good reason! Chicago’s west suburbs are full of indoor playgrounds to explore with your kids. Your kids can enjoy swimming all year round at one of these indoor pools with open swim times in the near western suburbs of Chicago. Indoor fun for tweens that is sure to make them excited to hang out and have a good time. All the best places for tweens in Chicagoland in one list! Kids are born to climb! Check out our list of Indoor rock climbing walls to develop physical skills, courage, and confidence. An activity you can enjoy too! Get your game on! We’ve rounded up the best local arcades, laser tag and game rooms in the Chicago area. Your answer to the search: game rooms near me! Escape rooms are a thrilling challenge for families, friends, date night, and more! We’ve got details on all the local escape rooms nearby. We scope out the best Christmas lights to bring you photos, descriptions, and a map so you can be sure to see amazing lights with your family! Volunteering with kids is a great way to teach values of compassion, empathy, and service. We’ve rounded up some family-friendly events and opportunities. If you are looking to find churches with childcare near you, check out our guide here. It has many local options and is a great place to start! Daytime New Year’s Eve events for kids, also known as “Noon Year’s Eve” parties that count down to 12:00 pm so the little ones don’t miss the celebration. Ice skating, movies, crafts, and more. Get a break from the holiday hubbub with these fun December activities going on in the southwest suburbs of Chicago! Find places for your kids to go sledding in the southwest suburbs. We have locations, addresses and descriptions for the best hills for tons of winter fun! Looking for a place to play inside with kids? Check out our giant list of indoor play areas all over the south suburbs of Chicago! These spots have age-appropriate activities for the littlest of kids! Check out our round-up of toddler-friendly places to go in the southwest suburbs. We’ve got a full round-up of open gyms for kids all around Chicago’s Southwest suburbs so they can tumble, play, and get their energy out! Take your family swimming, even when it’s chilly or raining! We’ve got a round-up of great pools and indoor water parks in the Southwest suburbs. Our round-up of kid-friendly bowling alleys includes places where you’ll find bumpers, ball ramps, arcades, birthday parties, and more! All kids love to move around, bounce, and prance about in bounce houses! Check out this list below for your guide to all things bounce! From Burbank to Frankfort, we’ve got a round-up of all the places to go for arcade fun or a round of laser tag in Chicago’s southwest suburbs. For more winter fun, check out our Winter Activities Guide!